The creative session fee formally books your appointment and covers the pre-session consultation in person or by phone, portrait session, post-session processing / preparation of your images, and a private gallery reveal and ordering appointment at our studio. The session fee is due at the time of booking to secure your place on our calendar and is non refundable. The newborn session is a full studio session for babies less than two weeks old. These sessions typically last 2-4 hours. The best time to photograph a newborn is between 5-10 days old. Props and outfits are included. Parents and siblings may be included. The baby plan includes 2 studio sessions in your baby’s first year as well as a complimentary mini session in your child’s second year. These sessions mark milestones. The first session occurs around 7 months at the sitting milestone and the second session will occur around 11-12 months at the one year milestone and includes a cake smash. 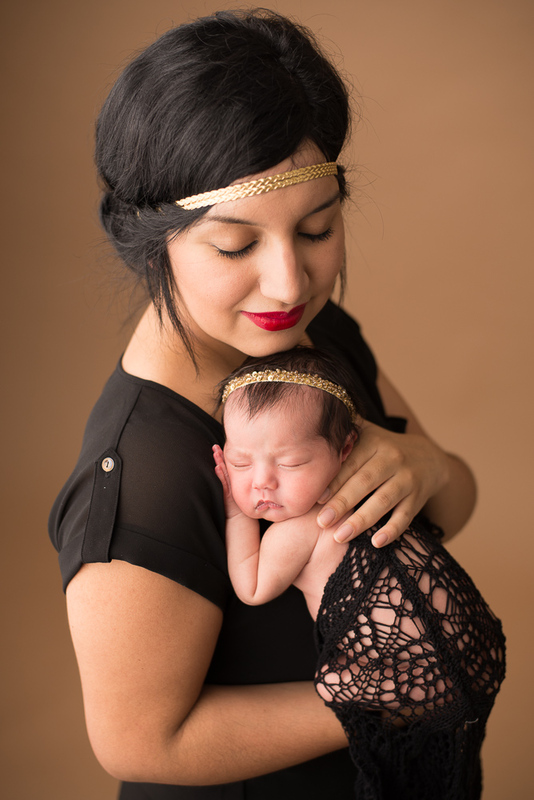 The mini maternity session is an add-on option for newborn clients only. These studio sessions typically last about one hour. Maternity gowns outfit options are included. Hair and makeup upon request.